This Sunday we will celebrate communion together. As we take the bread and drink of the cup we will be reminded of Jesus’ sacrificial death for our salvation. Yet, we are also reminded of His agonizing in prayer in the Garden of Gethsemane. Why did Jesus go to the garden? How did Judas know where to find Him and betray Him? 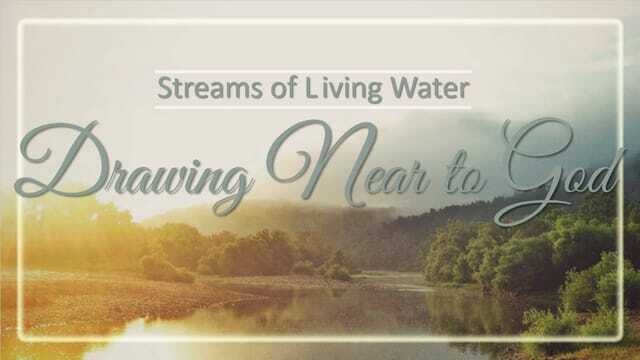 Join us as we begin a new Series, “Streams of Living Water” where we will explore this further in, “Finding Your Gethsemane”. The key to living is ______ God. The greatest enemy of hunger for God is not poison but apple pie. It is not the banquet of the wicked that dulls our appetite for heaven, but endless nibbling at the table of the world. It is not the X-rated video, but the prime-time dribble of triviality we drink in every night. For all the ill that Satan can do, when God describes what keeps us from the banquet table of his love, it is a piece of land, a yoke of oxen, and a wife (Luke 14:18-20). The greatest adversary of love to God is not his enemies but his gifts. And the most deadly appetites are not for the poison of evil, but for the simple pleasures of earth. For when these replace an appetite for God himself, the idolatry is scarcely recognizable, almost incurable. The key to ______ God is drinking deeply from the streams of living water. Take the survey to find out how you best connect with God.